With the legalization of marijuana on the horizon, property owners of rental units are wondering what that will mean for them. As all the rules and regulations surrounding cannabis use have yet to be ironed out, it’s only natural that landlords are beginning express concern, or in some cases excitement surrounding the opportunities legalization will present. The legalization of medical cannabis passed in 2001, but as Canada moves forward to legalize the use of cannabis across the country, there are many different views surrounding the changes. With multiple angles to consider, it’s no wonder that landlords across the country are beginning to question, challenge, and prepare for the pending legalization. What are the pro and con sides of the debate surrounding legalization for landlords, and how might rental properties be affected by the new legislation? Looking initially at those against legalization, and their concerns surrounding property values, costs of fumigation, and loss of control within their rental units, it is understandable why landlords are questioning how they will be able to control their properties once smoking weed becomes a legal right, contained to private residences. Much like how many landlords have clauses surrounding not allowing pets within their units, it is likely that there will be a surge in rental units that are anti-weed smoking, meaning that tenants are not permitted to smoke weed in these units. Although it is a tricky situation to regulate, as smoking weed is going to be a legal right, it is possible to see landlords increasing their rents, and tightening up conditions of leases in order to accommodate the new legislation and the costs that could be ensued. In the same way that landlords try and regulate the type and number of pets permitted in each unit, it is possible that they will attempt to make these same regulations surrounding marijuana in order to protect their property from damages, the need to fumigate, and to ensure the well being and happiness of al their tenants. A potential surge in rent increases could lead renters to be searching for weed-friendly apartments, (much like pet-friendly apartments), which could see a rise in vacancies in some places, along with some renters seeking out the option to purchase a private residence in order to enjoy their space freely, and as they see fit. On the other hand, some landlords are viewing this new legislation as an opportunity to take advantage of what will be a need in the market, much like those who take advantage of the need/want for pet-friendly rental options. The legalisation of marijuana opens a new need in the rental market for properties that will allow tenants to smoke, and grow their plants hassle free. With this opportunity, landlords can specialize their units with these new stipulations in mind, allowing those who wish to be able to smoke without hassle to find living arrangements that are both suitable, and enjoyable to them. With some landlords pushing to ban cannabis smoking in rental units, it is possible that cannabis users could end up with no where left to go, unless units like these exist. Although they may see a slight increase in the cost of renting these units, the ability to partake in cannabis use without issue is attractive to those seeking to exercise their legal rights. 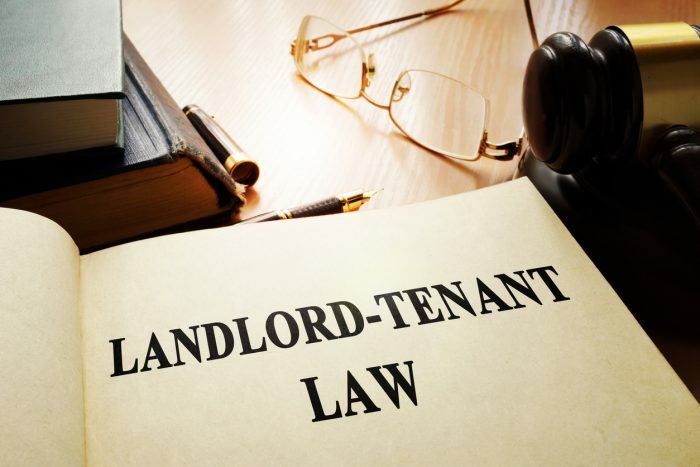 Much like those individuals who look specifically for rental units that allow pets, these tenants may result in fewer vacancies and longer tenancies, as the accommodations will be difficult to find with many landlords being against the new stipulations. Although the desire to smoke and grow cannabis would not be a requirement to live in a rental unit such as this, new tenants would have to be okay with the fact that the building does allow tenants to partake in their legal right, and therefore would minimize possible complaints surrounding smoke and pot smell. Although there is much to still be decided and ironed out in terms of details on these types of rental properties, it is certain to be a wise investment and a new opportunity to take advantage of within the market. The new legislation is a topic of discussion all around, surrounding use, growth, and ability to purchase marijuana, and it’s regulation. Landlords are preparing themselves for the coming changes, whether they are pro, or con, in terms of the new legislation and how their properties may change for existing and new tenants. It is possible there will be a rise in tenants seeking out marijuana friendly rental units, willing to pay premium prices for personal privacy and their ability to smoke hassle free.